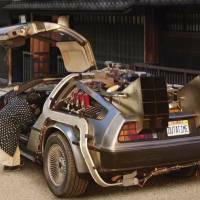 This is a post in our series on Japanese UI design. This time we will look at railway information systems. 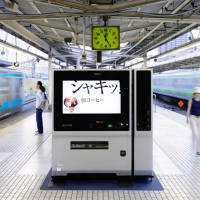 More specifically this post will take a closer look at the digital screens found above the doors on JR trains in Tokyo. JR stands for Japan Railways. 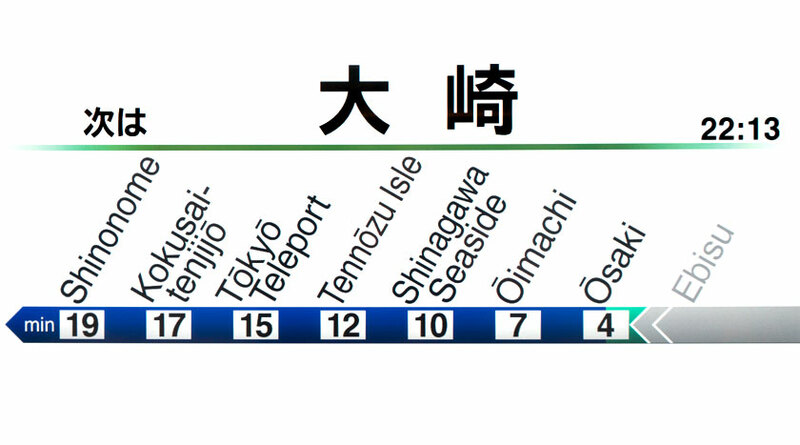 JR is the biggest operator of trains in Japan including the famous bullet train or Shinkansen. 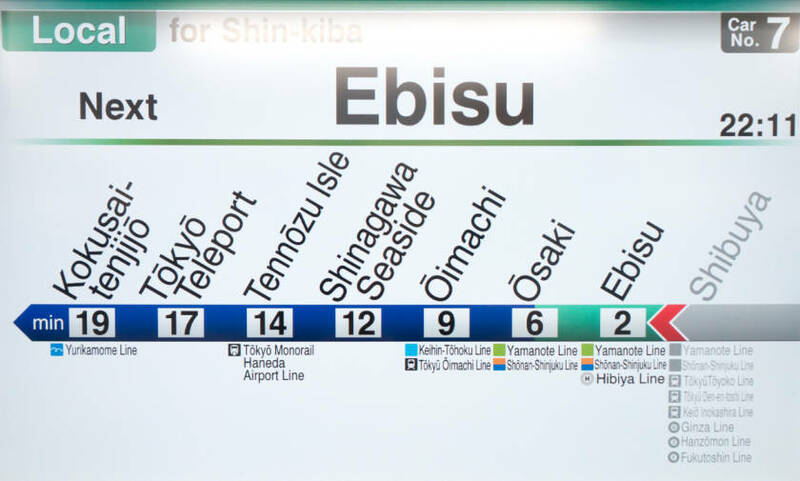 These photos were taken on the Saikyo line from Shibuya to Ōsaki. You can see this is quite a long train with many stops. This screen is a zoomed in version showing fewer stops. 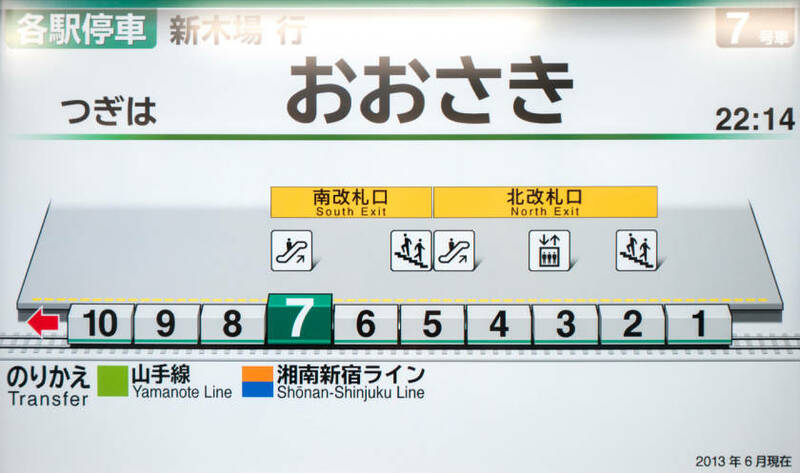 The train direction is clearly indicated with arrows. 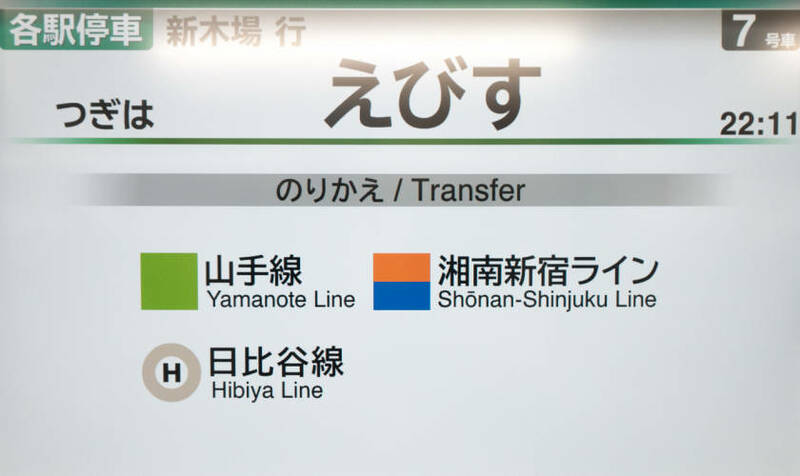 Underneath the stations the transfers to different lines are listed. Every few seconds the language changes. On screens with little information the languages are combined in a single screen. For the purposes of this blog post I mostly show English screens but two thirds of the time it’s all in Japanese. 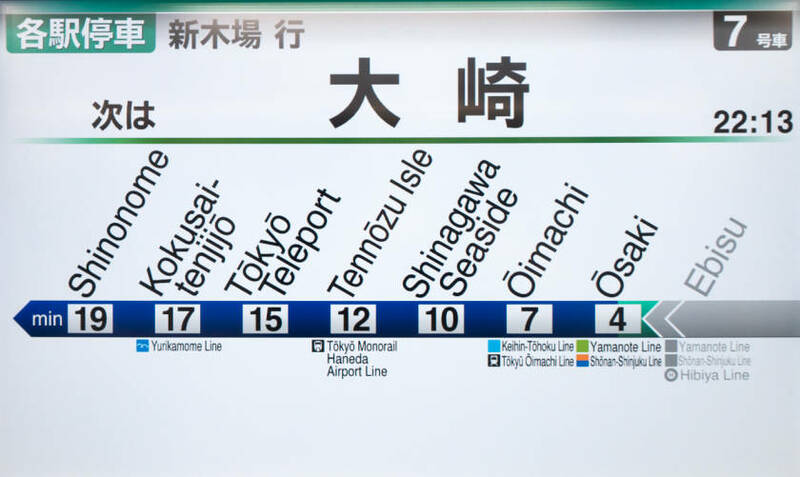 On this screen the next station name 大崎 (Ōsaki) is displayed in kanji. 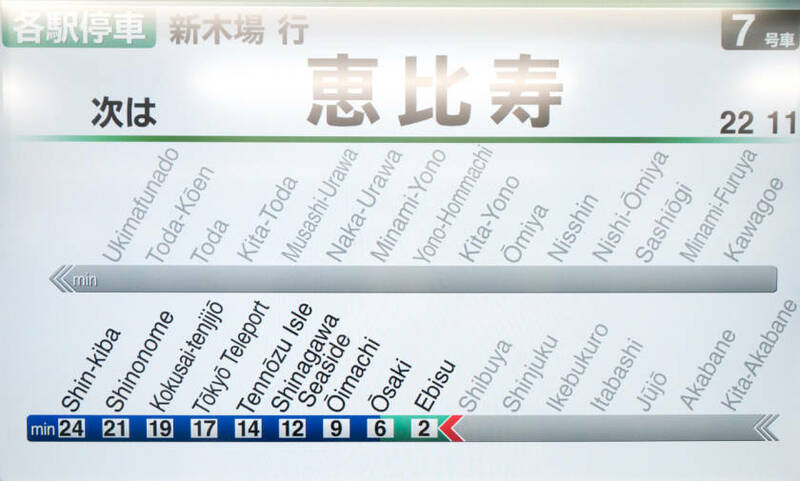 For these who don’t know the kanji (Kanji for place names are notoriously difficult to learn) the screen switches to the hiragana version: おおさき. 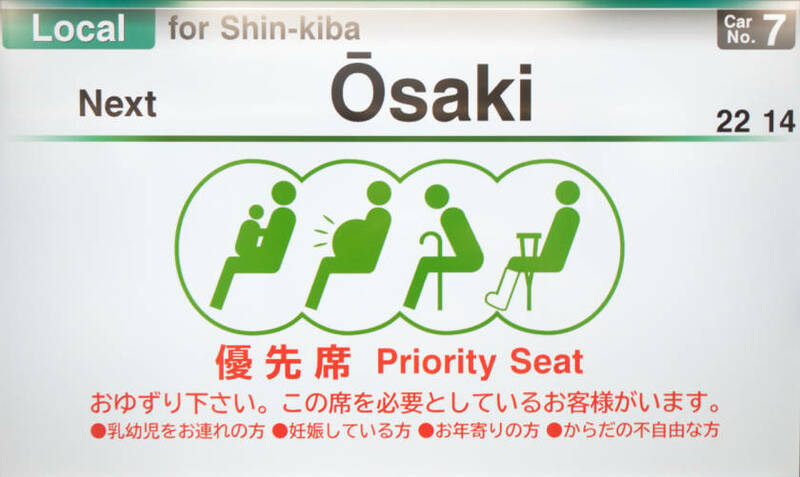 A message urges travellers to leave the priority seats to people with children, pregnant women or elderly people. 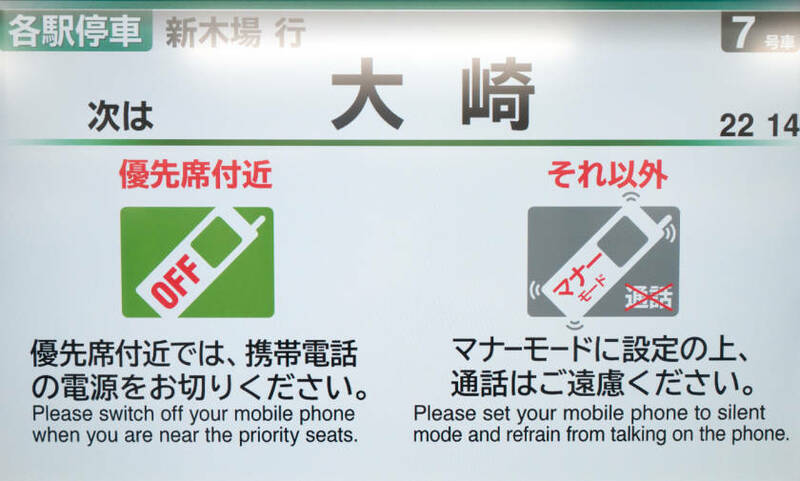 Another message urges travellers to switch off their phones when near the priority seats.